As we reported before, Chevy’s Creta rival is codenamed as ‘GEM B-SUV’, now we got exclusive info on it. 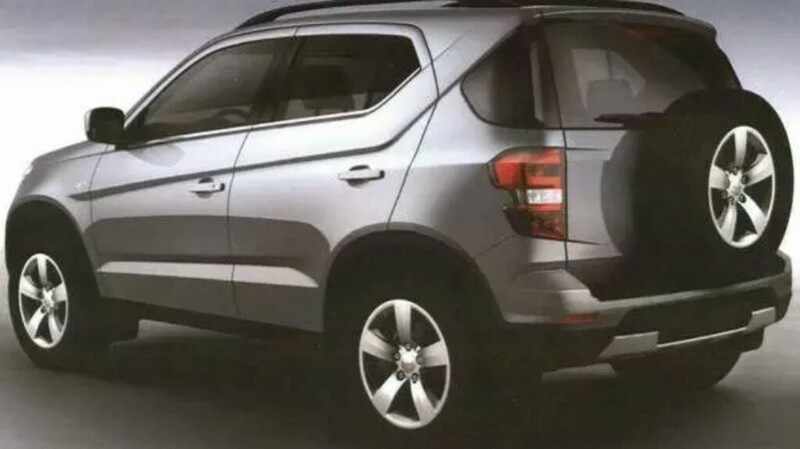 Our exclusive reports have come pouring in today apparently as we can uncover all the specification details of the upcoming chevy’s Creta rival codenamed as GEM B-SUV which the company relies on for captivating a huge band of customers. Official patent images of the second generation Chevrolet Niva are doing rounds on the internet courtesy of the Russian Federal Institute of Industrial Property and most likely, it is the GEM B-SUV for India. The all-new compact SUV is bound to arrive at Indian market and it’s more likely to be called as Chevrolet Blazer as chevy recently applied for the trademark of that monkier. It is expected to witness the spotlight at our domestic market in the early parts of 2017 with a highly efficient powertrain line-up and petrol automatic offering to take on the competition from Ford EcoSport, Hyundai Creta, Mahindra XUV500, Renault Duster and Nissan Terrano. Codenamed internally as GEM-B SUV, the conceptual version of Chevrolet Niva was showcased at the 2014 Moscow Motor Show. The production model will grace Russian showrooms during the course of 2016. The patent images revealed the complete exterior styling of Chevrolet Blazer compact SUV. With huge expectations lying on its shoulders, we expect the Blazer to be launched in the early months of 2017 as part of the company’s plans to bring in several new products in the next five years. The Chevrolet Blazer compact SUV could be priced between 7.8 lakh and 13 lakh to take on a variety of rivals up and down the SUV segment. On the inside, the Chevrolet Blazer could feature a three-spoke steering wheel, piano black gloss trim around the center console and an improved instrument cluster. The Blazer/Niva will continue to be built at the GM-AvtoVAZ production facility in Russia for their domestic market and expected to be launched in other countries with India being a prominent contender. The Niva concept displayed bearing the same name had a rugged stance back in 2014. 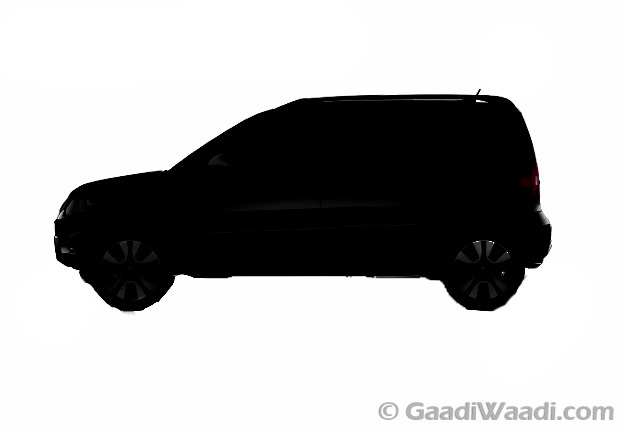 Although the patent images reveal the character lines and panels are in-line with the one-off concept, it looks rather less aggressive which is quite understandable for such a small SUV. Gone is the matte black paint covering on the concept which is replaced by a restrained silver paint job. Some of the off-road necessities like roof rack with extra spare wheel, winch, headlight protection, additional lights for better terrain visibility and chunky off-road tyres are being dropped from the production-spec model as seen on the patent drawings. Only the exterior styling can be considered as viable though bearing in mind we only have patent images at our disposal. The new generation Chevrolet Niva compact SUV will be a little under 4.3 meters long with ample ground clearance to stick by its off-roading characteristics alongside featuring diff locks and AWD system. The engine line-up featured on the Chevrolet Blazer could have a 999cc turbo-petrol mill that produces 116PS of maximum power at 5,200rpm and 165Nm of peak torque at 3,200rpm. It will be coupled with a five-speed manual gearbox or a six-speed AMT. Whilst a 1,199cc diesel engine makes 84PS power at 4,000 rpm and 190Nm of peak torque at a low-range 1,750rpm mated only to a five-speed manual transmission. The Chevrolet Blazer compact SUV is expected to return a claimed mileage of 21.3 kmpl for petrol and 24.7kmpl for diesel engines. This is about 2.4 kmpl more economical than the EcoBoost petrol unit currently powering the Ford EcoSport and 2 kmpl frugal than the diesel engine featured on the same. 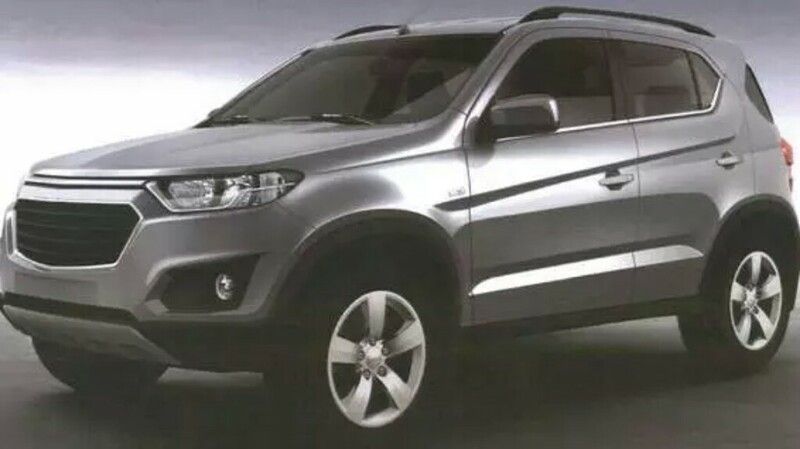 The small SUV will measure about 4,260mm in length, 1,795mm in width, 1,606mm in height with a wheelbase of 2,570mm and a good enough 180mm ground clearance. The compact SUV will stand at 1,227kg for diesel and 1,193kg for petrol. The fuel tank capacity is likely to be at 44 litres with a tyre size of 215/65 R16. The Chevrolet Blazer will rival the likes of Ford EcoSport, Renault Duster, Nissan Terrano, Mahindra XUV500 and the recently launched Mahindra TUV300 and Hyundai Creta.